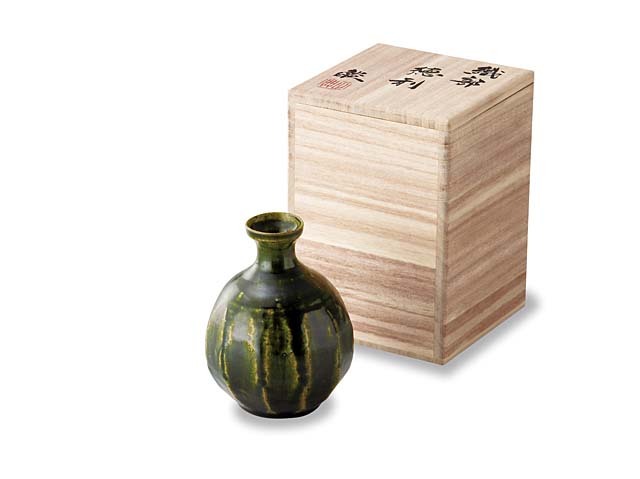 This is a Japanese Seto ware (Seto-yaki) sake bottle. Seto ware is familiarized in the generic name, “Setomono” in Japan. Various kinds of Seto ware are produced such as pottery, porcelain, doll, maneki-neko, and so on.